Welcome back Indy Reds!! Apologies for the long delay in-between posts. Starting now we look to correct that and give you fine folks some more content more regularly. Since we would like to expand the site and update it more often, if you are a writer or enjoy it and would like to write any articles such as pre or post match previews/reviews or player profiles or even last year we had a few Red Tardis articles that were fun. Anything LFC related feel free to email us or get at us on social media and we will get it going. You may have noticed a couple changes, the biggest one being we bought the domain name for our website LFCIndy.com, so it is much easier to remember and get to and share. Before we splash back in with our favorite kind of post the Indy Red Fan Focus we had a something very unexpected happening. If you haven’t heard or seen yet, we were featured on NBC Sports live broadcast here in the USA during halftime of the LFC v Arsenal match. THAT JUST HAPPENED!!!! Yes that was you the Official Liverpool Supporters Club of Indianapolis. The Indy Reds live on NBC with the sweet sweet narrating from the one and only Rebecca Lowe. MASSIVE exposure for the supporters club and also for our Indy Anfield Union Jack Pub. We are posting this 2 days after and We still get a giant smile on our faces and we’re still in amazement that this happened. A big thank you to all of the Indy Reds who over the last 2 years have helped to grow and shape our Supporters Club. Well Done! Alright, we are bringing back one of mine and I think most of you folks favorite part of our site the Indy Red Fan Focus. If you are new to us you can see all of the previous features here on our site. Basically it is pretty simple, I ask you a bunch of questions and you answer them then we feature you on our site so our Indy Reds can get to know each other better and how they came to love the greatest team in the world. First up for the new season is one of the MANY as I’m finding out “ExPats” here in Indy. Daniel. They were one of the first teams I completed in the old Pannini soccer sticker albums back in the late 80’s in the UK and a certain John Barnes was mesmerizing to watch as a 7 year old boy so I chose the Reds and have never regretted it. Probably when we beat Palace 9-0 back in the late 80’s. In the UK they are not allowed to show the games live on a Saturday for a 3pm kickoff. I remember being sat in my parent’s car whilst they were grocery shopping with my brother listening to the live First Division games (as it was back then pre-premier league). We just kept guessing how many more goals would come after six and how the commentators would be utterly amazed with each and every goal. I still remember the papers the next day with a big shot of Peter Beardsley. Being so young I did not appreciate the feat at the time. Istanbul – nothing comes close. The way we got there, the way we came back from the dead, once in a lifetime stuff. It will take something very special to top it. 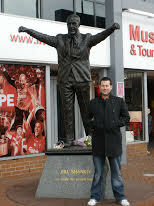 When I went to Anfield on the drive up I would always play my ‘This Is Anfield’ CD to get a good sing song going. Apart from that the usual advice you give to the players while you watch the TV (like they can actually hear you!). At my mother’s house as she had the biggest TV to watch it on! If you would’ve asked me this a few months ago I would’ve said Steven Gerrard. Now he’s gone my favorite is Emre Can. He’s versatile and tenacious and can beat a man when he needs too. He reminds me a lot of Mascherano but with more goals in him. If you could meet or have dinner with any LFC player/manager ever who it would it be & why?For me and my generation it would have to be Steven Gerrard. He’s a great role model and a down to earth person. It would be great to see how he is away from football and how he dealt with all of the pressure of being such an icon for so many people for so many years. Plus we both moved to America from the UK around the same time, so we have something in common – although he can buy the beers as he earns more than me! 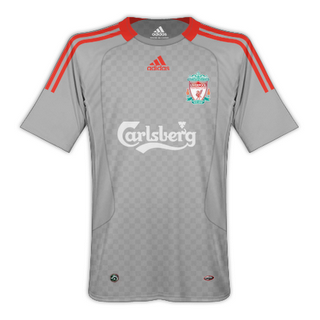 For personal reasons the grey away kit for the 2008/09 season. My Grandmother got me my first kit, which was the grey ‘Candy’ shirt for the 1988/89 season as a birthday present twenty years earlier, so it struck a chord with me when the club based it on that shirt. I would like to have a kick about with all my mates on the hallowed turf of Anfield and book a pre-season game here in Indianapolis vs the Indy Eleven! Always the clubs official site and the BBC football website. Occasionally twitter for the gossip. I would probably drive around the city with my scarf out of the car or scream out loud in the front yard for a few hours first before I went out! Of course it would be at the Union Jack with fellow supporters as no-one else would know why I am so happy! Jordan Rossiter. Jamie Carragher was talking him up a few years ago so I took an interest in him and I am glad he has progressed as far as he has done. Liverpool needs a local lad in the team and Jordan has great composure and seems unfazed by being in the first team squad. Hopefully he gets some game time this season so he can show what he can do and push on from there. So many to choose from, a difficult question! It has to be Gerrard’s pile driver against Olympiacos. 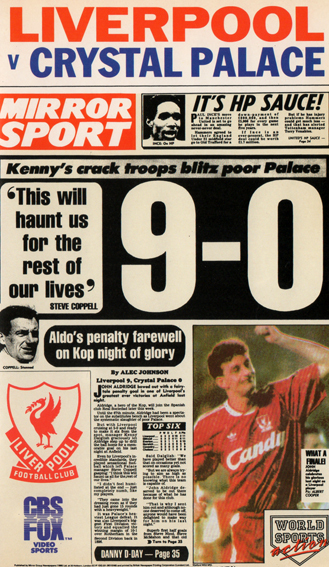 Without that goal there would’ve been no Istanbul, no 5th European cup – enough said. Plenty of times! I have done the full house of Premier League, Champions League, FA Cup, League Cup, UEFA Cup, Europa League and even the Community Sheild. I lived in Reading in the UK which is just outside London and only a 4 hour drive away from Liverpool. So as soon as I was old enough to drive that was it. 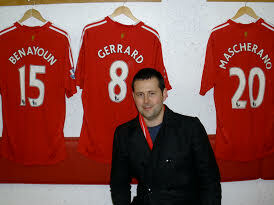 I even was lucky enough to see the Reds at the Millennium Stadium. When Reading were promoted to the Premier league that also helped me out with going to an away game! Apart from soccer I like rugby and I used to do a lot of running which I am keen to get back into. I like to give most sports a go to be honest so I will probably give all of the big American sports a try. I am still new to the area so am a baby in the beer tasting stakes. I enjoy a Sam Adams and I know that’s a Boston thing (sorry). I am still waiting to be educated! The history and the passion of the club and the family feel it has. I don’t think any other club can match us for it. No matter who plays for Liverpool, if they give 100% for the shirt they will be supported and remembered by the supporters for their efforts. For me being new to the USA and a ‘limey’ I would have to say the enthusiasm of the group. When I went down to the Union Jack for a game recently I found the people there very friendly and welcoming. I have to give a special mention to Nile as I bombarded him with lots of questions when I found out I was moving to the area and he has been very supportive. Thank you Daniel! It is always great to see the perspective from someone not from the USA. If you enjoyed this feature be sure to go back on the site and read the other Fan Focus that we’ve had all of them are top notch. If you’d be interested in being featured let us know and we will get you up there. We have some really good ones on the horizon this year. Alright on to some Supporters Club and Team news. The Scarves were a huge hit, we are completely SOLD OUT. I believe Union Jack is also sold out of the scarves and also the t-shirts we had last year. If we have enough interest we might do another pre-order of scarves. As a heads up we have to order a minimum of 50 scarves & its $500. Our chairman and board don’t have that kinda dough laying around so we would have to do a pre-order. If we can get 25 people to pre-order scarves again we will order more. We are in the process of working with Union Jack to see about a new t-shirt for this year since we had to retire the old logo. Need some input from you Indy Reds too, As we are going into our 3rd season/2nd year in existence & 1st overall year as Official we would really like to start trying to give back to the Indy community. If anyone has any ideas on how we can do that let us know. We are thinking of possibly doing a food drive for someone like Second Helpings here in the city during one of big matches this fall, or maybe a coat drive for the winter time. As always if you ever have any suggestions or questions about the Supporters Club feel free to email us LFCIndy7@gmail.com or comment on any of the posts on here or facebook/twitter. Speaking of Facebook and Twitter. Be sure you are following us on Twitter @LFCIndy and like our page on Facebook and also join our Facebook Group. The group page allows you guys to post things and it is a good place to talk about all things LFC. Last bit of club news, if you’re active on Twitter and like to post things about LFC, be sure to hit up our friends at the ULF Podcast(you can find them on twitter and Facebook) they are looking for someone to post LFC news and updates for them on their Twitter page. Daniel Sturridge is back in England after rehabbing in Boston for quite a while, look for him to try and get fit for the united match 09/12. Look forward to seeing everyone out at Union Jack Pub Saturday for the match v West Ham. 10:00am Kickoff. Thank you everyone for your continued support and helping to grow and build the supporters club and spreading the love of LFC all over our fine city. Chairman Official Liverpool Supporters Club Indianapolis. This entry was posted in Indy Red Fan Focus and tagged Fan Focus, Indianapolis, Indy, Indy Reds, LFC, Liverpool, NBC, NBCSN, OLSC, supporters club, YNWA on August 26, 2015 by LFCIndy.